Jinkee Pacquiao is a former vice governor of Sarangani, Philippines. She is better known for being the wife of professional Filipino boxer, Manny Pacquiao. Jinkee Capena Jamora (Pacquiao) was born on 12th January 1979 in General Santos, Philippines. She was born to father Nestor Jamora and mother Rosalina Capena. She grew up along with her older twin sister, Janet in General Santos. The beautiful woman married to the professional boxer, Manny Pacquiao. The couple first met at the Filmark mall where Jinkee used to sell beauty products. Manny felt for Jinkee for the first time when he saw her. He often went to the mall and tried to approach her but could not and end up buying something that he didn't need. After several meeting, Manny finally purposed her. Afterward, they dated for seven months and decided to get married on 10th May 2000. The couple is blessed with two daughters named as Mary Divine Grace and Queen Elizabeth, and three sons, Emmanuel, Michael, Israel. The family looks very happy together. They often post photos on their social media account after visiting different places and events. Jinkee gives equal time to her family and her husband, Manny. The couple is living happily together along with their children and there is no any sign and rumors of their divorce. Grateful to God for my precious family. ?? 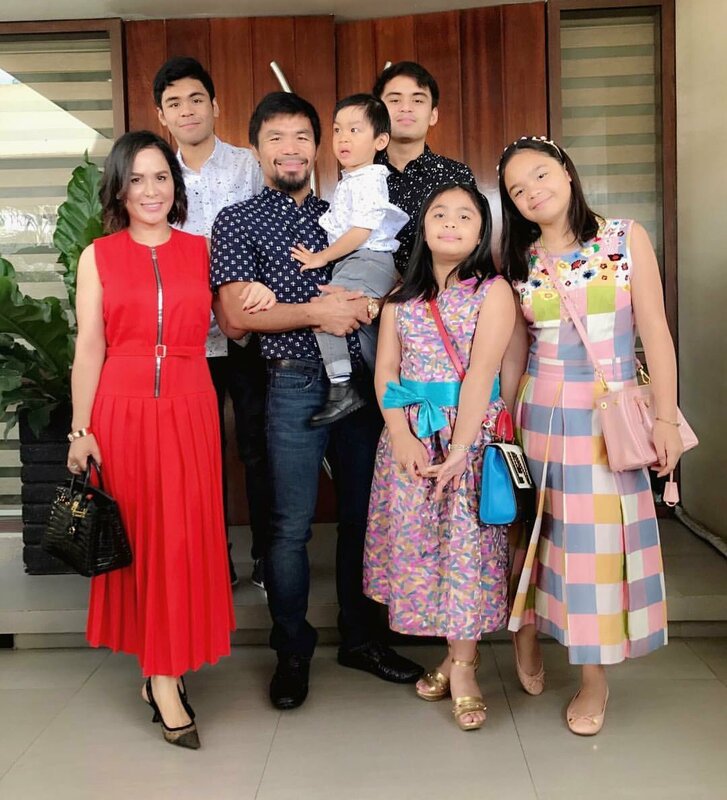 #pacquiaosquad #korea #familygoals?? Jinkee served for Sarangani province in Mindanao as a vice governor after she was elected in May 2013. As a vice governor, she created a job opportunity for Sarangani unemployed people and with the help of her husband, she established a coffee shop, water-refilling station, fashion boutiques, economy hotel etc which also helped people for employment. However, she later retired from politics to focus on her children's future and business. The gorgeous mother of five children, Jinkee has accumulated good money from her professions. She also earns a huge sum of money from her own business venture. Being involved in several business sectors, she has different sources of income. Being the wife of a professional boxer, Manny, the couple has the net worth of around $190 million. She also has her own public image and professional life and her net worth is estimated around $5 million dollars.